bland. It is full of strong well written songs that promise much for the future of this highly talented artist, who is genuinely a singer songwriter, with each discipline being equally excellent in his case. Whilst he has to be slotted into that genre he doesn’t stick to the middle ground, instead preferring to move into blues, folk and country whilst not plunging too deeply into any of them, playing mainly around the boundaries of each but still managing to retain the major aspects of these generic disciplines. As often applies with the higher quality artists in this loose genre, the songs are allowed plenty of space to develop, which helps with the diversity of styles on the album. I can’t actually think of anyone to compare him to, which again augurs well for his future and whilst the sounds are not hugely original as such, there are little variations in sounds and themes that keeps the album interesting and fresh. 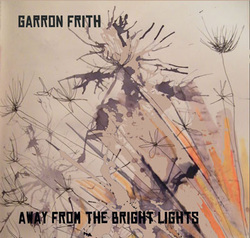 All of the songs are written by Garron Frith except for a co write with producer Simon J. Alpin, who also plays mandolin and lap steel on some of the tracks. The other musicians are all of a high quality, with Nick Simms on drums, Seymour Milton on keyboards and various other specialist players and harmony vocalists where required. Frith is also a good guitarist and harmonica player as well as an excellent vocalist, who does a really good job of adapting to the moods and tempos of these, at times, quite diverse songs. Whilst we can be forgiven for thinking he is American, Garron actually hails from the north west of England and has toured regularly over the last two years as headliner and support to a myriad of other artists. This is his second album, the first ironically titled ‘The debut album’ was supported by some tremendously favourable reviews and although I have yet to hear the album if it was anything like this one those reviews were justified. His songwriting ranges from self analysis, life, love and even a rock ‘n’ roll story, ensuring that the variety of subjects and moods means you never quite know what is coming next. This is despite his mellow, yet atmospheric vocals and comparative sparseness of the instrumentation, which when allied to the fact that nothing gets above mid tempo says a lot for the talent on show that the album is always a really entertaining listen. playing and stomp! Rock ‘n’ roll band is a mellow, just approaching mid tempo, tale of a rock ‘n’ roll band, with a lovely mandolin and violin setting, that has a strong country feel. On The Remedy, it is easy to imagine him sitting on a front porch somewhere with a few friends playing fiddle and banjo in support of his deeply felt vocals on this country/folk song. The album closes with Rolling the dice, a song that can easily be labeled as a deep blues, with some tremendous acoustic slide guitar playing and his voice that has just about the perfect amount of feeling for a song of this edginess. All in all an excellent sophomore album that, to reiterate, promises much for the future of this talented artist. Many‘superstars’ have made less creditable second albums!